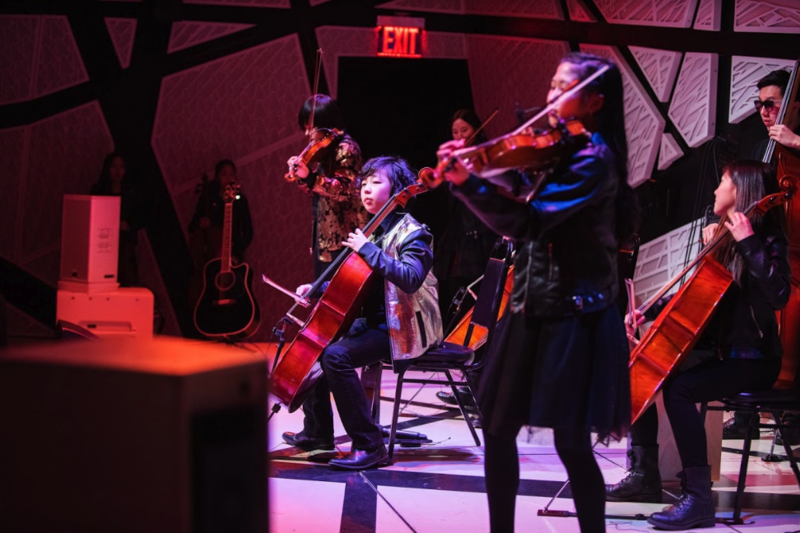 Comprising Chinese and Korean children, the Joyous Strings ensemble provides the festival with a glimpse of the future. 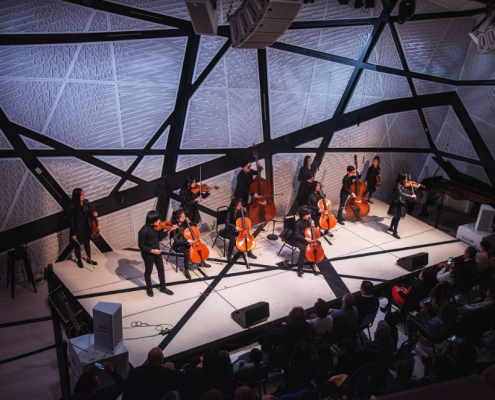 The ensemble was founded in 2010, when its members were just five years old. 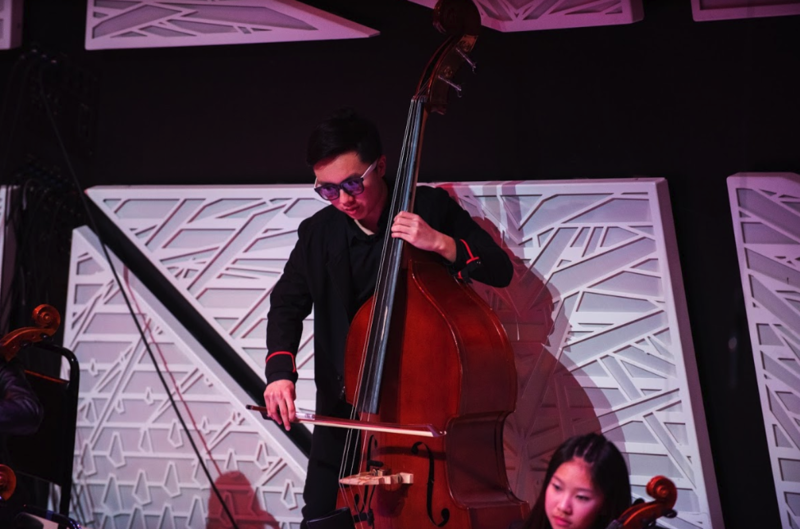 Playing repertoire ranging from Vivaldi and Bach to Michael Jackson and Katy Perry, the ensemble is now an international sensation, having performed for President Obama at the White House as well as on the Ellen DeGeneres Show, ABC’s Good Morning America, Steve Harvey’s Little Big Shots, and many more. 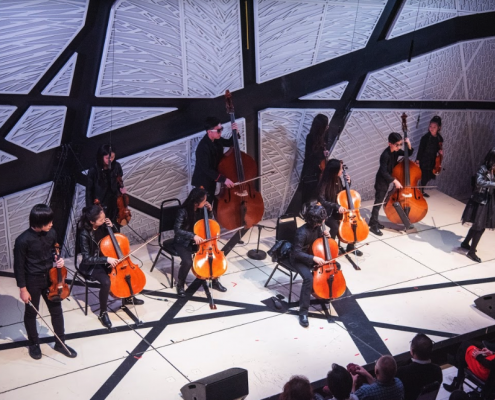 This beloved group shows the potential for future generations to transcend political differences and come together in harmony. 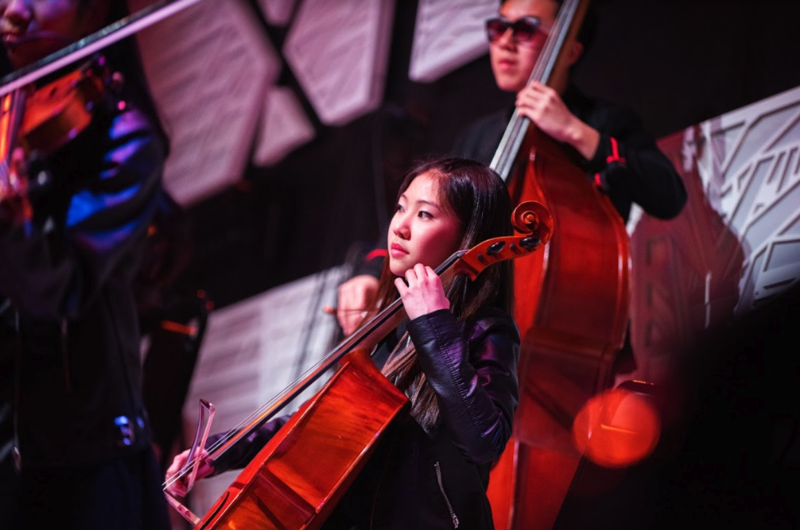 Over the past four years, the Joyous Strings ensemble has become an international sensation — with major TV appearances on the Ellen DeGeneres Show, ABC’s Good Morning America, Fox News, NBC’s Today Show, Steve Harvey’s Little Big Shots, and the Harry Connick Show. 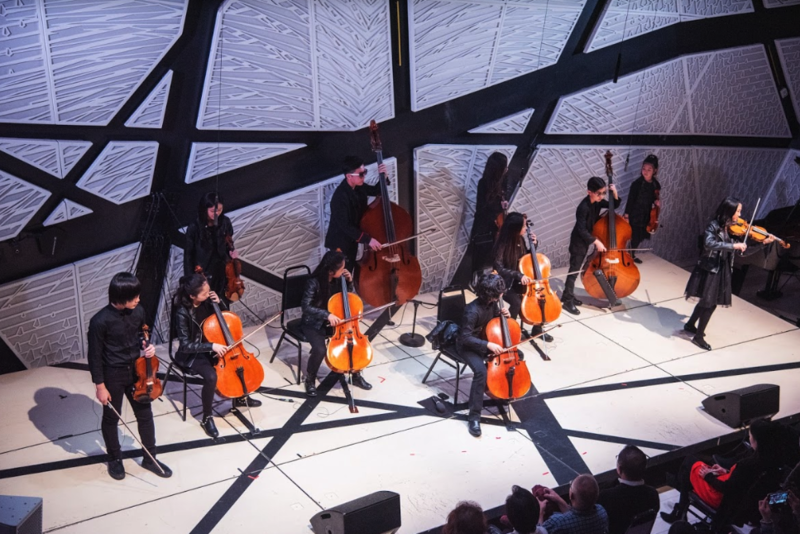 In addition, the group performed at the White House for President Obama in 2015. 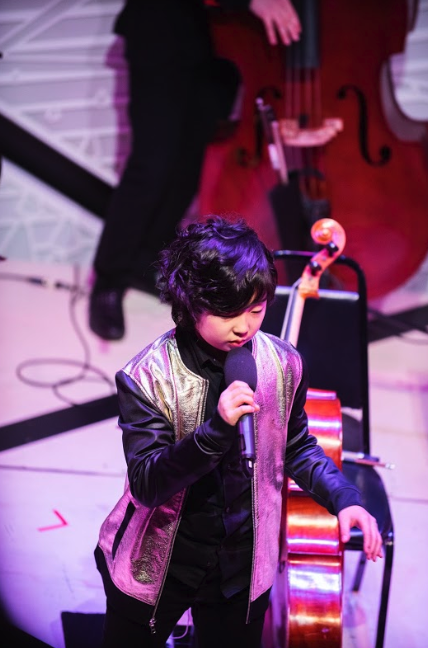 Internationally, the group has performed all over the world, including on Hunan TV’s Amazing Kids Show (China), SBS Star King (Korea) and SAT Super Kids (Germany). 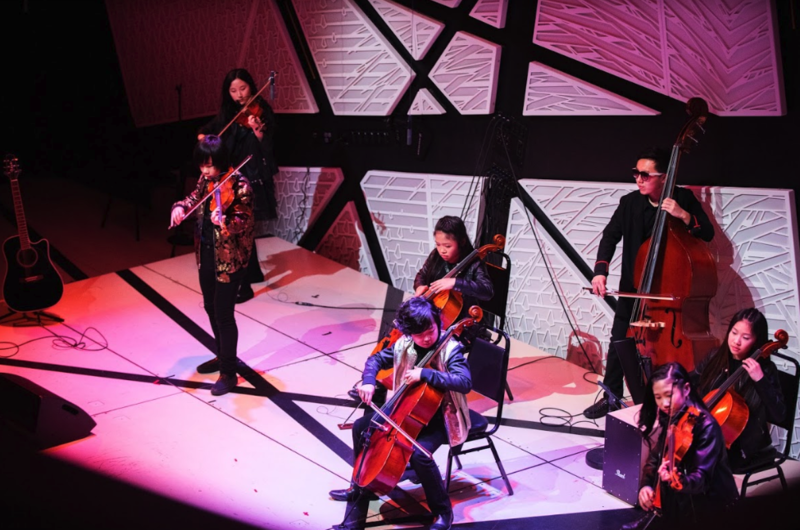 Besides TV appearances, the group has performed at major concert venues, including Carnegie Hall, Lincoln Center, Madison Square Garden, and Citi Field. 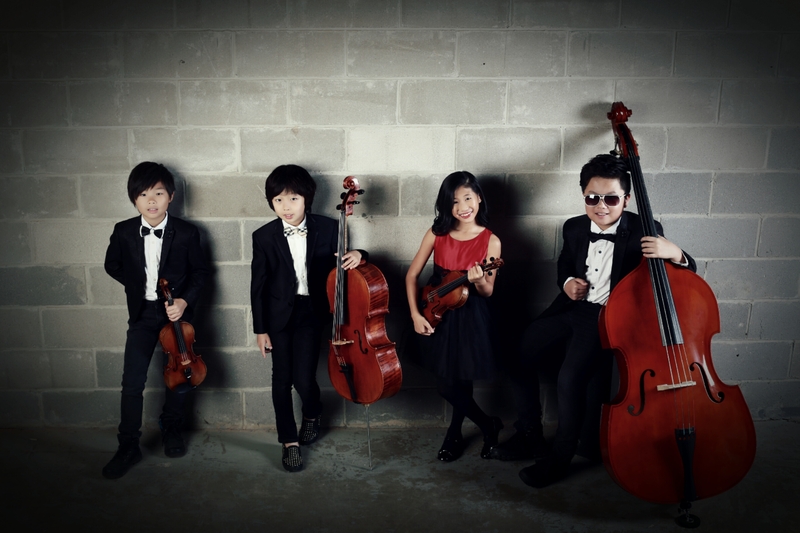 They already have garnered a robust social media following, with millions of YouTube views and followers. 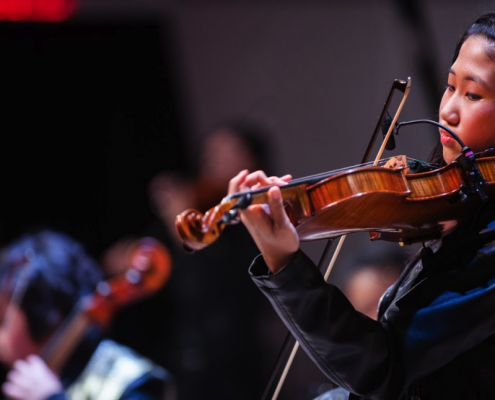 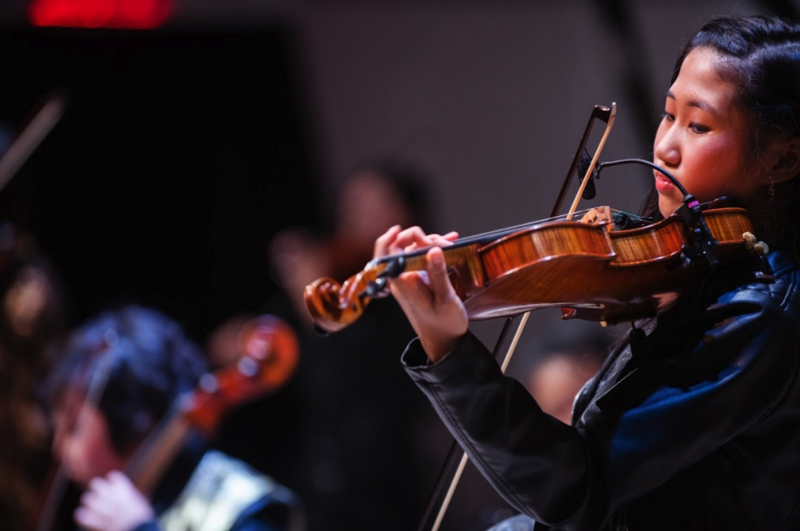 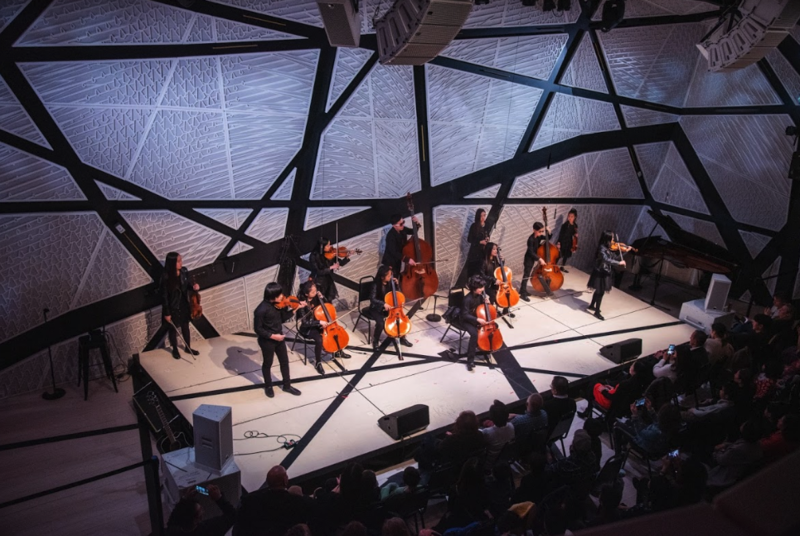 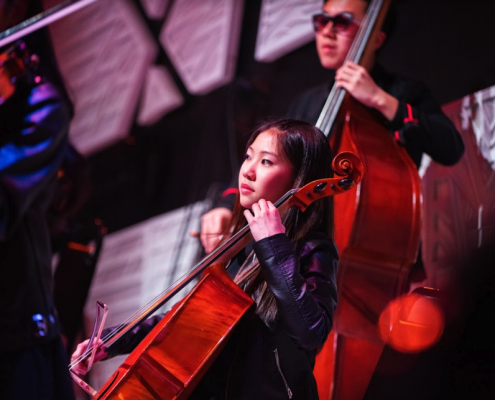 Mixing an eclectic repertoire, the Joyous String Ensemble performs everything from traditional classical music to today’s pop hits and mash-ups — innovatively orchestrated and arranged to give the audience a unique listening experience. 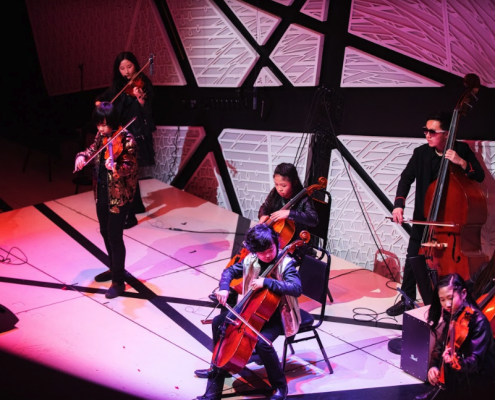 Despite their youthful age, the group is a model of mature and brilliant musicianship. 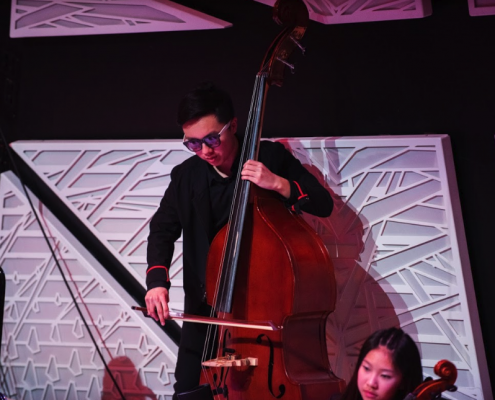 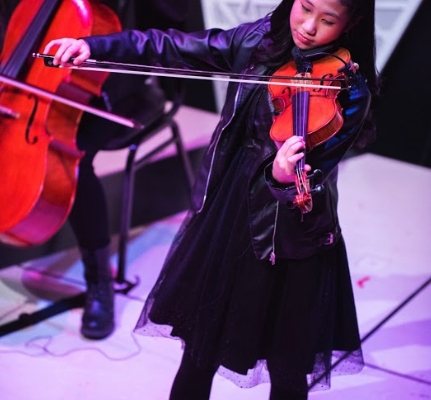 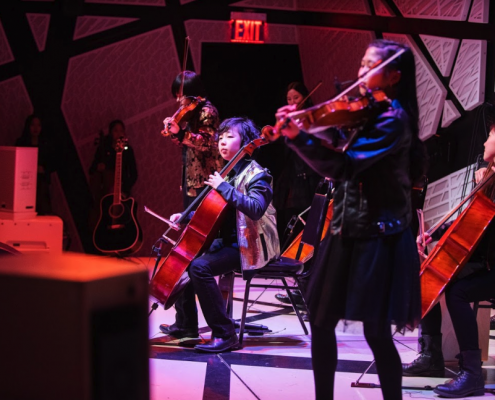 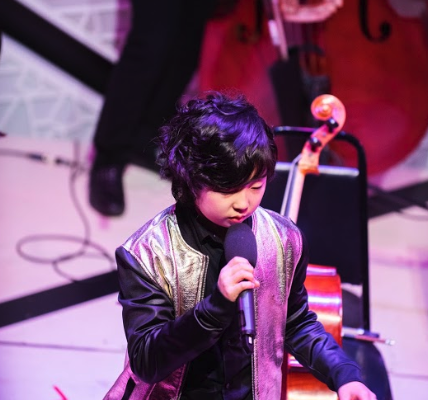 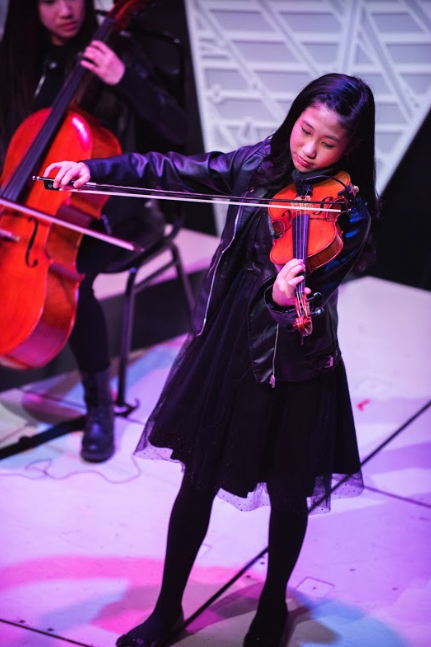 Centered around 12-year-old multi-talented cellist Justin Yu and 8-year-old violinist Christine Yu, the group also consists of violinists Tyler Lau, Micakyla Jia, and Kalyn Yung; cellists Gwendolyn Tom and Megan Lim; and bassist Brendon Lau.